NEW JOHN DEERE TIE ROD ASSEMBLY. WILL FIT THE FOLLOWING JOHN DEERE TRACTORS: 3010 4010 4300 3020 4400 4020 4500 2510 4600 3020 ROW CROP 4700 2520 4320 4000 9900 COTTON PICKER JOHN DEERE TRACTOR. LARGE SELECTION OF HOWSE PARTS AVAILABLE NEW AND USED!!! BEST DECALS ON THE MARKET!!! HIGH QUALITY THAT RESISTS CRACKING, FADING, PEELING FROM SUNLIGHT EXPOSURE. Check out our other auctions. Take a cruise through our. REMAN FUEL INJECTION PUMPS ON SALE! 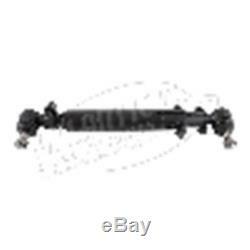 The item "3010 4010 4300 3020 4400 4020 4500 2510 4600 JOHN DEERE TIE ROD ASSEMBLY" is in sale since Tuesday, January 2, 2018. This item is in the category "Business & Industrial\Heavy Equipment, Parts & Attachments\Heavy Equipment Parts & Accessories\Antique & Vintage Equipment Parts".